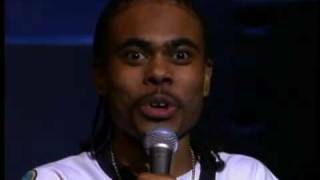 In 2005 Roland Powell aka Lil Duvall was one of the finalist on BET''s Coming to the Stage. Lil Duvall''s performance was was smart, witty and cleaver. Today, Lil Duvall is rapidly becoming one of the most talked about comedians in the industry. Lil Duvall is a Jacksonville, Florida native and has electrified stages across the United States and abroad. Lil Duvall united the languages through laughter on the Mega Ven European Comedy Tour in 2001. Lil Duvall works all of the local Comedy Clubs and College and was selected to be a feature act on the 30 city Bud Lite Comedy Tour with “ CEDRIC THE ENTERTAINER” during the summer of 2001. Prior to performing on BET''s Coming to the Stage, Lil Duvall has appeared on “SHOWTIME AT THE APOLLO,” BET''s “COMIC VIEW.” He was a cast member on the weekly comedy variety television series on the Fox Network “Cedric The Entertainer Presents…”, the Platinum selling DVD “Cedric The Entertainer’s Starting Line Up – VOLUME ONE,” and you can hear on the Comedy Remix of the Platinum single “JUST FRIENDS” by R&B artist MUSIQ SOULCHILD. Lil Duvall''s hard work towards perfecting of his talent continues to make him a rising star.